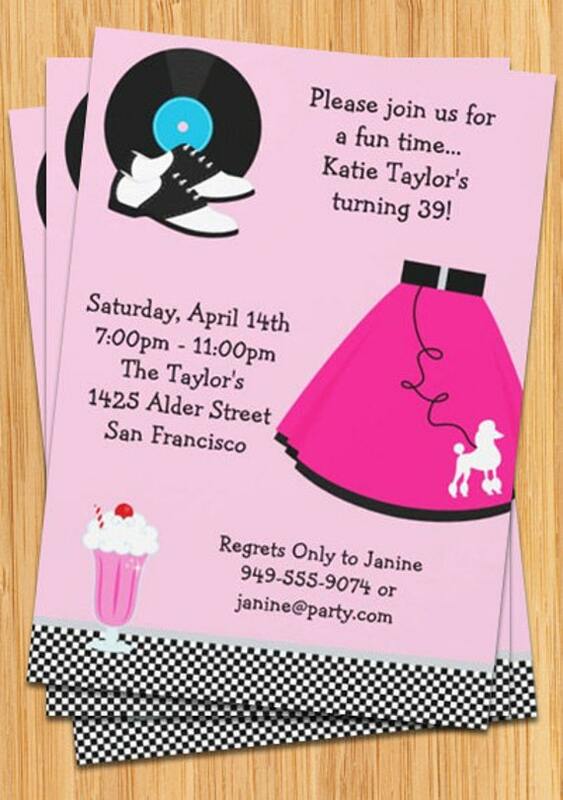 Personalize this pink, black and blue retro1950's sock hop style party invitation, just change the details of the party and you're done! Features pink and black checkered floor, poodle skirt, records, saddle shoes and a milkshake. Our invitations and photo cards are completely customizable and delivered to you via email so you can have them printed at your favorite place (Walgreens, Target, etc.) or even on your printer at home! 4. Once you approve the proof we will send you a 299 dpi graphic that you can download and take to wherever you would like your prints made, or print it yourself on your home printer.